Congress has been working in recent months to pass FY19 appropriations bills in small groups, each called a “minibus,” after President Trump expressed displeasure in the spring at signing an omnibus appropriations bill, consisting of all 12 delayed FY18 bills, and stated that he would never do that again. As of today, both the Senate and House have passed the so-called minibus I, H.R. 5895, consisting of full year funding for the Energy and Water, Legislative Branch, and Military Construction and Veterans Affairs funding measures. The President is expected to sign the bill. This week formal conferences were held to resolve differences between the House and Senate minibus II, H.R. 6147, consisting of the Interior and Environment, Financial Services and General Government (which contains the Senate-passed 1.9% pay increase for January), Agriculture, and Transportation and Housing and Urban Development bills, and minibus III, H.R. 6157, consisting of the Department of Defense and Labor-HHS-Education bills. The House and Senate conferees agreed on final language for minibus III and added in language for a Continuing Resolution (CR) that lasts through Friday, December 7th for those agencies not specifically receiving full-year funding. 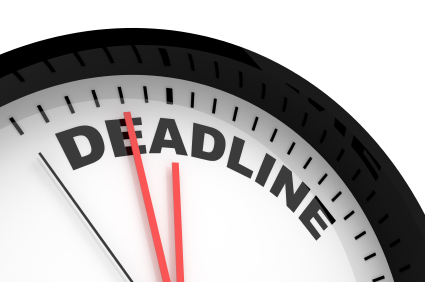 Differences remain to be resolved for the minibus II bill, and it is unclear if agreement can be reached over the next week or so, allowing those agencies to still receive full year funding before the October 1st deadline, as opposed to operating under a CR through December 7th. At this time, the White House has not announced whether it supports Congress’ addition of a CR for some agencies to operate under through December 7th. NTEU worked closely with members of both the House and Senate since earlier this year when the President first announced his plan for a pay freeze, which he formally restated to Congress two weeks ago now. While we continue to advocate for a higher raise—3 percent or 2.6 percent for parity with the January military personnel pay increase, we also support the bipartisan Senate-passed 1.9 percent average pay increase. NTEU will continue its work with Congress to secure adequate funding for agencies and a January pay increase for federal employees as Congress and the White House finalize full year FY19 funding measures over the next few weeks and months. While Congress is acting to prevent a shutdown and any interruptions to agency operations, it remains unclear if the President will enact Congress’ short-term funding plan, meaning that the potential for a partial government shutdown on October 1st remains. To see what you can do, click here.